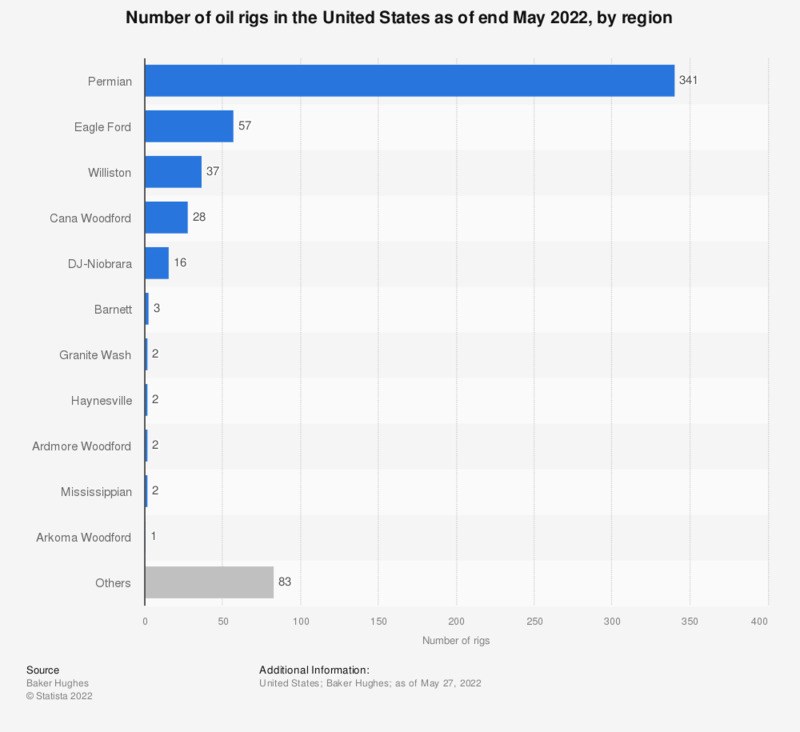 This statistic shows the number of oil rigs in the United States by region, as of February 2019. At that time, there were ten oil rigs counted in the Mississippian region. Thus, this region was among the top ten oil producing regions in the U.S. based on oil rig count.